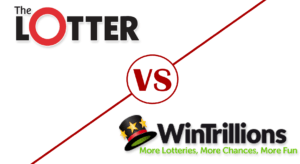 theLotter vs WinTrillions | Which is the Best Lottery Site? If you are a frequent lottery player, then you may have already heard of online lottery sites. They give you the convenience of purchasing tickets without the need to visit a physical lottery ticket outlet. You’ll find that there are dozens of online lottery sites on the internet, all claiming to have the best platform and user-experience. We’ve reviewed many of these websites, and among those that stood out are theLotter and WinTrillions. Let’s compare them side by side to see which website is the best for your lottery gaming needs! theLotter was created back in February of 2002, making it one of the first online lottery sites ever to be established. The company is currently being operated by The Lotter Enterprises Ltd., which has its main headquarters in Belize. They also have 20 offices scattered all over the globe, where their staff personally purchases tickets on users’ behalf. Meanwhile, WinTrillions was founded a few years later, in 2005 by Legacy Eight Curacao NV. The website has grown exponentially over the years – currently giving service to 480,000 customers in more than 100 countries. They also have an advocacy for the poor, donating a portion of their profits to improve living conditions of the impoverished people in Latin America. Mobile app is available only for iOS users. Aside from these, WinTrillions has a Power Combo Syndicate offer where you can play 3 of the biggest lotteries (US Mega Millions, US Powerball, and Italy’s SuperEnalotto); and Euro Combo, where you can play Euromillions and Eurojackpot all at once. theLotter keeps it simple when it comes to offering perks- they have a VIP Club where members can enjoy up to 20% discount on tickets purchases, special and exclusive promotions, and priority assistance. On the other hand, this is where WinTrillions shine, with daily deals, memberships, and a VIP loyalty program to boot. Deals of the day usually consist of discounts ranging from 5 to 10% for different lotteries, as well as discounts for multiple ticket purchase for a specific duration (i.e. 12 lines in 1 month, 6 lines in 3 weeks). Meanwhile, WinTrillions memberships have four tiers- Gold offers 3 discounted syndicate plays each month, free and automatic participation in California’s SuperLotto and USA Hot Lotto worth $50; Diamond which adds Canada Lotto 6/49 to the free plays and increases worth to $75, $5 credit which you are free to spend on any ticket, access to reserved games such as Christmas El Gordo and Euromillions Special Draws; and Platinum and Titanium perks, in which you need to get in touch with their customer service to get more benefit information. Lastly, the VIP Loyalty Program gives you a reward every time you spend money on their platform. For every $2 spent, you get 1 VIP point which you can spend for discounts and free plays. You also get exclusive access to promotions and other special offers. When it comes to user-friendliness, these websites do not stray far from each other, and while their interface may look different at first glance, you’ll see many similarities as you delve deeper into their pages. For example, both lottery sites’ home page display the main menu at the top and center, where you can access the international games and syndicate bundles that they offer, and results of the most recently drawn game. You can also scroll through the lottery game panel where you can see more details about the game, specifically its jackpot prize and countdown timer to the draw. theLotter changes the layout a bit by displaying the lottery results in one panel, while WinTrillions shows the games, syndicates, and millionaire raffles. 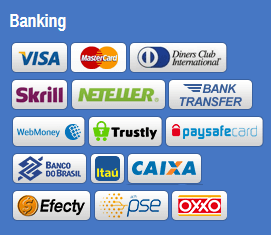 theLotter home page, where you are greeted with the lotteries you can play. 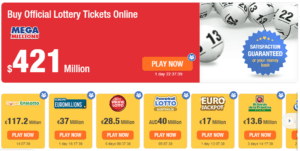 WinTrillions’ home page doesn’t differ that much, showing the day’s top lotteries in terms of jackpot prize. Upon choosing a lottery game, you can directly choose the numbers that you want to play, how many lines you’d like to enter, and in theLotter’s case, if it’s for a one-time play or for multiple draws. As previously mentioned, WinTrillions only allows multiple draws, with a minimum of 2 draws. New users don’t have to worry about tip-toeing in the dark since both sites have they a short guide on how to play the specific game right at the number picker screen. As for multi-language support, theLotter has the edge by just a little bit, offering 15 different languages versus WinTrillions with 11. Both support English, Russian, Deutsch, French, Spanish, Portuguese, Chinese, Japanese, and Polski; WinTrillions adds Taiwanese and Parsi to the list, while theLotter has Svenska, Romanian, Magyar, Nederlands, and Czech. Both offer a mobile app which is free to download for users who want to continue betting and playing while on the go. theLotter’s mobile app is available for both iOS and Android users, while WinTrillions’ app only caters to Apple users. As for winnings, both do not charge any commission fees, so you will get the full prize minus any taxes that applies, depending on your home country and the lottery game’s country of origin. They do have different methods for winners to claim their prize- theLotter deposits secondary winnings directly into the account after receiving the full amount from the lottery operator, while jackpot winners who are required to claim the prize in person may be flown to the location where the ticket was purchased with theLotter shouldering the expenses. Meanwhile, WinTrillions will credit your winnings directly to your account for small prizes, since they are basically playing the lottery on your behalf. As for bigger jackpots, the dedicated Winners Support Team will give you a call and assist you in receiving your prize. They also have an exclusive insurance model which covers each bet made by the users in their platform for lotteries with big jackpots. Both companies take user privacy seriously, with encryption services and SSL certificates running at the back-end of the website. theLotter uses GeoTrust 128 SSL bit security, while WinTrillions relies on GoDaddy 256-bit SSL encryption. The former also keeps winners anonymous by using only their first name, last letter of the surname, and country of origin when published in their Winner’s Circle section. Users can also request to remove this display by contacting customer service. Both companies employ encryption services to ensure the privacy of each and every user. The Winner: Both theLotter and WinTrillions win this one. Trumping the competition in several fields, theLotter is the clear winner when pitted against WinTrillions. Just by the sheer number of games under their belt, theLotter already offers more, having more than twice the games WinTrillions has. Plus, with a mobile app available for both iOS and Android users, plenty of banking options complete with deposit guides, and a customer service team ready to answer questions and address issues round the clock, theLotter is simply the better option.